Lock in a great price for Admiral's Inn and Gunpowder Suites – rated 8.9 by recent guests! 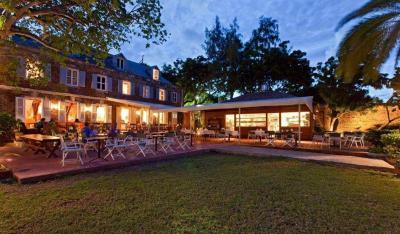 The location, staff and ambiance were wonderful. We did not appreciate just how special the place was until we arrived (website could be improved to reflect this). 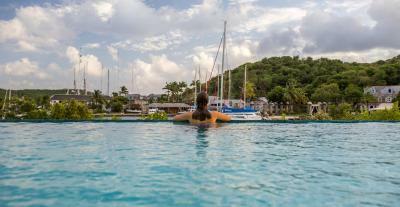 Nelson's Dockyard is a major tourist attraction, which means that hordes of people descend on it during the day, but the hotel managed to maintain a quiet and private atmosphere. 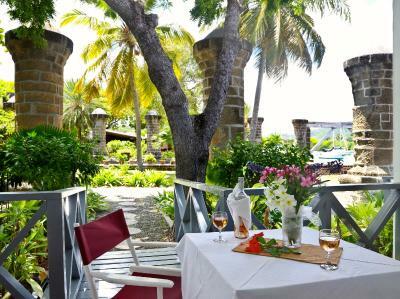 Taking breakfast and dinner in the gardens overlooking the water was a delight. It was an overall lovely visit. 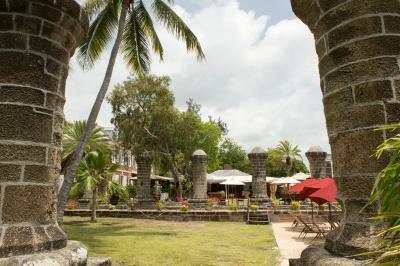 The service was excellent, all hotel staff were friendly and went out of their way to help. We thought the boat ride across the harbor was very charming. The food was excellent. 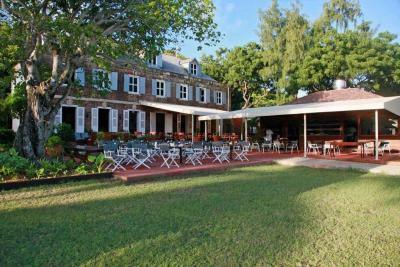 The hotel is a fantastically looked after historical building within the old naval dockyard. Our room was absolutely excellent and the pool facilities were great and just a short boat ride across the dock (the shuttle boat is provided for free by the hotel). 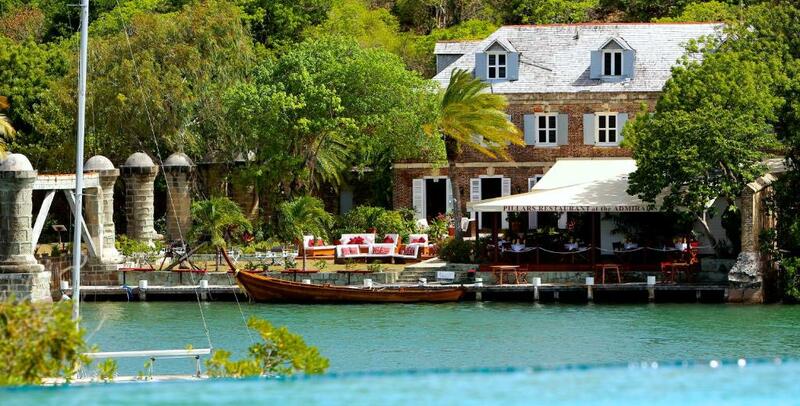 English Harbour is a great location with lots going on and good access to the South and East of the island. The bubbly and friendly staff. The food was superb, baby back ribs, the bushwacker drink. 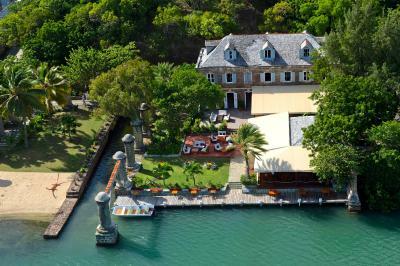 The infinity edge pool over looking a wonderful historical site. The prestine and clean surroundings. The breath taking boat ride to view the Pillars. The staff was very helpful, professional & accommodating. They helped with restaurant suggestions reservations & taxis. Reggie was wonderful at the bar. All of the staff really went above & beyond both at the Admirals & at Boom across the way. Location and service was exceptional went the extra mile to provide packed lunches when asked. 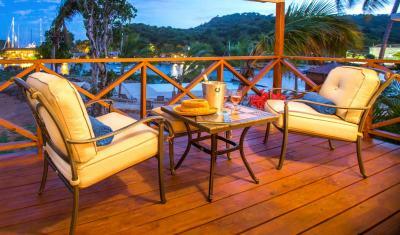 Quiet and relaxing infinity pool area with very good food. It is a beautiful property overall. We stayed in one of the four rooms by the Pillars. 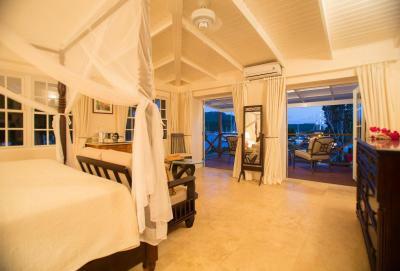 The front porch of each room has a daybed and chairs and is perfect for relaxing. The setting is peaceful and beautiful. We also enjoyed the historic Nelson's Dockyard. 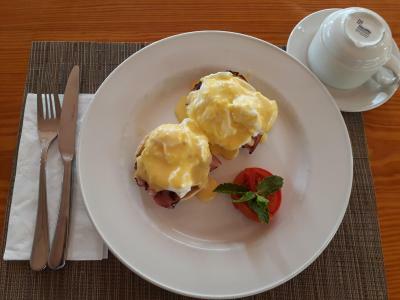 Admiral's Inn and Gunpowder Suites This rating is a reflection of how the property compares to the industry standard when it comes to price, facilities and services available. It's based on a self-evaluation by the property. Use this rating to help choose your stay! 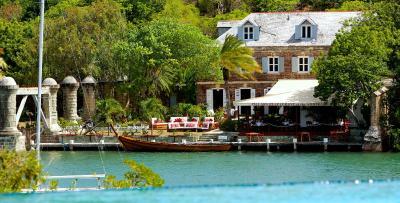 Admiral's Inn and Gunpowder Suites is in Nelson’s Dockyard, English Harbour and 2 miles from Shirley Heights. 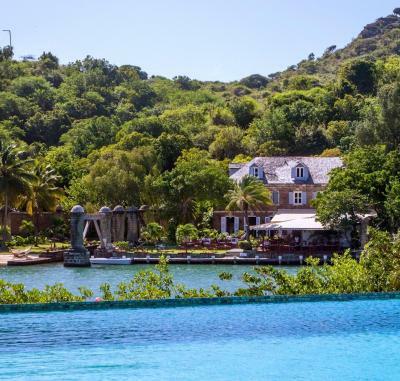 This historic boutique hotel features extensive gardens, an infinity-edge swimming pool and free Wi-Fi throughout the property. 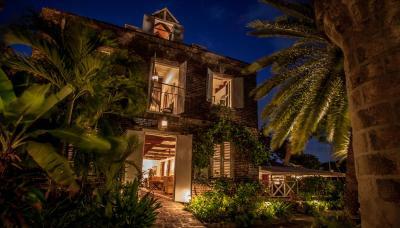 The air-conditioned rooms and suites are in 18th-century buildings that feature modern amenities. They include a safe, a fan and a private bathroom with a shower and toilet. 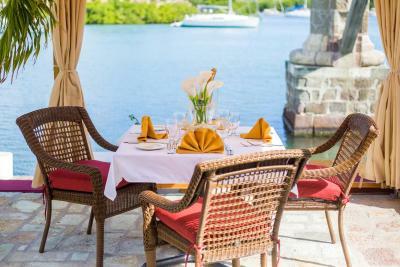 Guests at Admiral's Inn and Gunpowder Suites can enjoy 2 open-air restaurants. 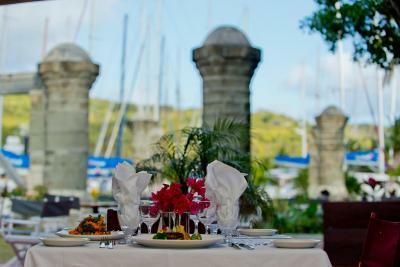 The main restaurant serves fresh, locally sourced international dishes and overlooks the beautiful harbor. 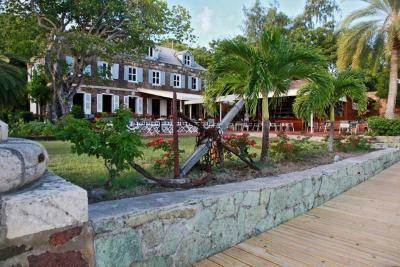 There is also an on-site lounge bar that features a wide range of Caribbean cocktails. 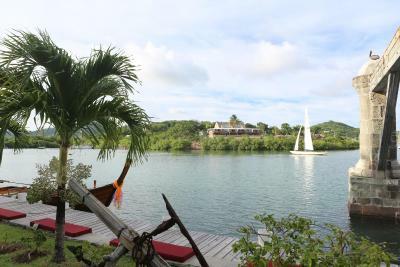 The property's small beach is great for relaxing and sunbathing, but swimming is not possible. 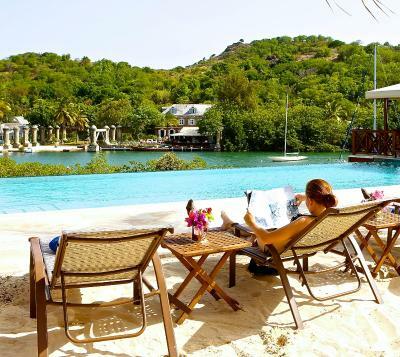 Guests can enjoy a free shuttle service to Galleon Beach, a 5-minute boat ride away. 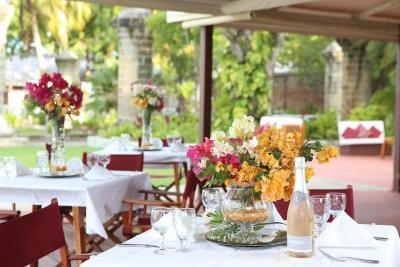 Admiral’s Inn can provide facilities for events and meetings. 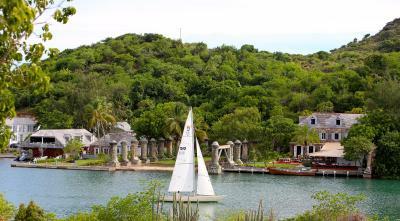 Activities like sailing, snorkeling, tennis and diving are available within a 10-minute drive of the hotel. 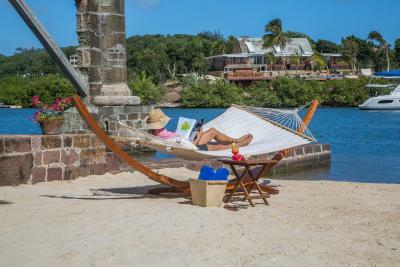 The property is just over a mile from Falmouth Harbour and Pigeon Point Beach, and VC Bird International Airport is a 25-minute drive away. When would you like to stay at Admiral's Inn and Gunpowder Suites? 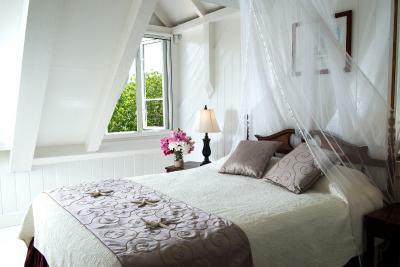 This air-conditioned room is on the top floor of the main building facing the harbor and feature 2 twin or one king size bed, free Wi-Fi and a fan. The bathroom is private and has a shower. 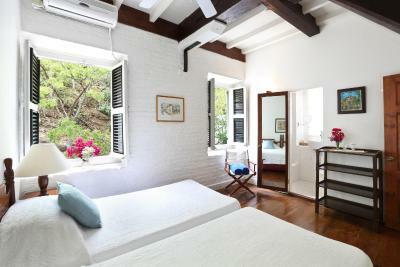 This room features 2 twin beds, free Wi-Fi, air conditioning and a fan. The bathroom is private and has bathtub or shower. 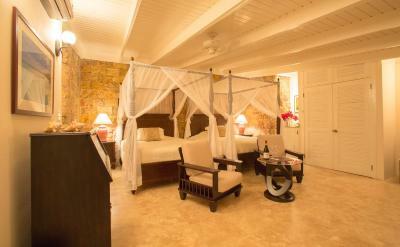 This room features one Queen-size bed, free Wi-Fi, a fan, mosquito net and air conditioning. The bathroom is private and has bathtub or shower. 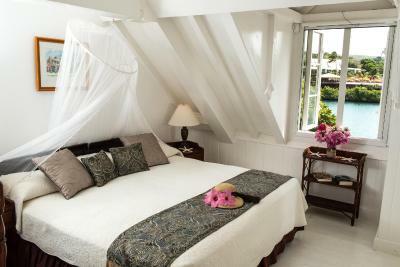 This room features free Wi-Fi, air conditioning and a bathroom with bath or shower. 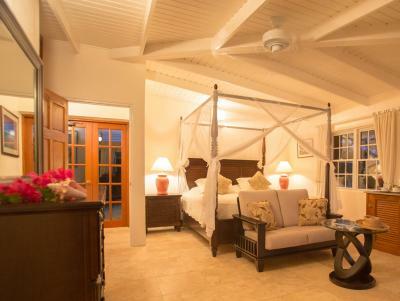 This spacious air-conditioned suite has a four-poster bed, an independent seating area with a sofa bed and offers views over Nelson's Dockyard and the bay. It features free Wi-Fi, a desk, a coffee maker and a bathroom with a hairdryer. 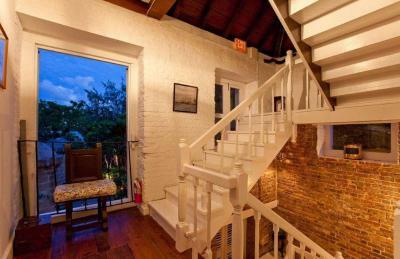 In a restored 18th-century gunpowder store, these deluxe junior suites have balconies overlooking Nelson's Dockyard and the bay. 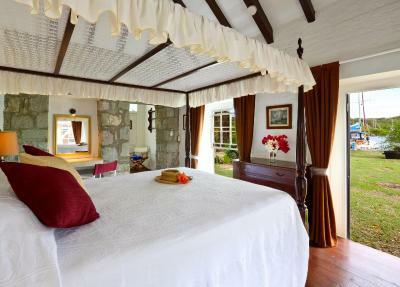 Each spacious air-conditioned suite has a four-poster bed, free Wi-Fi, a desk, a fridge and a bathroom with a hairdryer. 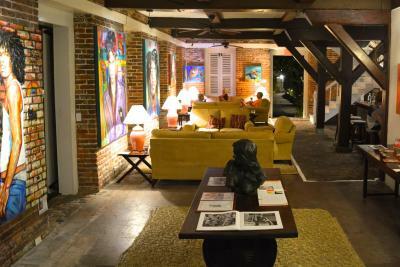 Guests also have access to a pleasant shared atrium. House Rules Admiral's Inn and Gunpowder Suites takes special requests – add in the next step! Admiral&#39;s Inn and Gunpowder Suites accepts these cards and reserves the right to temporarily hold an amount prior to arrival. Admiral's Inn and Gunpowder Suites accepts these cards and reserves the right to temporarily hold an amount prior to arrival. Could have had more information about galleon beach, boat took us to the beach but no facilities on beach. Looked good for snorkelling but we hadn’t taken snorkels, part of beach was rocky so should have taken water shoes. Lovely setting. Good breakfast (extra charge). 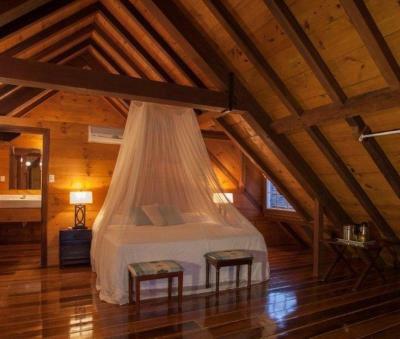 Comfy bed & quiet air con. We were able to keep room till 4pm as we were leaving on evening flight. Ovation , friendly staff , good restaurant , clean . En suite bathroom to our room needs updating. 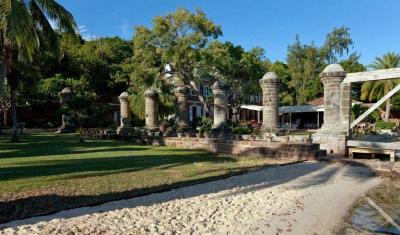 Wonderful location a few steps from Nelson’s Dockyard. Friendly staff. Good food and drink. Beautiful historic building. 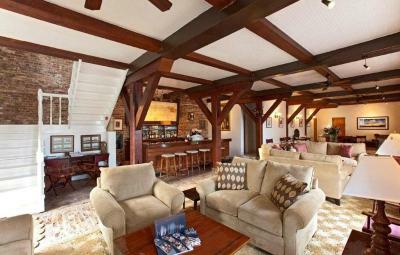 Attractive room with colonial style furnishings and great harbour view. Lovely short (and free!) 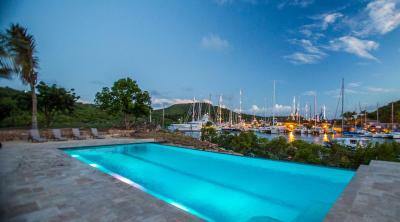 boat trip to hotel infinity pool or secluded Galleons Beach. Would recommend. My standard double at Admirals Inn side was very basic. The floor was very dirty and there were hairs in the bathroom. The AC wasn’t very good. Also, the service we experienced at dinner at Admirals wasn’t great, we were completely forgotten about. Admirals Inn has a very nice old time feel to it, the restaurant is very nice of an evening and the view is great. The boat service across to Boom is also great, as is the pool, food and drinks over the other side. The gunpowder junior suite room was very nice and spacious with a big bed for my parents and a lovely balcony. The smiles from every member of staff made our stay memorable and we would definitely go back. Pillows were some of the worst I've ever experienced while traveling. Everything else was absolutely perfect! Everything was amazing. One of our best trips to date! Location wonderful and staff always helpful . Food was excellent. Tree frogs 🐸 are pretty loud at night, make sure you have ear plugs. Beautiful and unusual location. Small room, but location, staff and cleanliness made for a great stay, also great modern en-suite. Close to historic environment. I did not, as I usually do, request that we were given a room with a high ceiling (my husband is 6ft 5in tall). Unfortunately our room was on the top floor, with sloping attic roof and a very compact ensuite shower room. I took the short straw and slept on the low side of the bed (twice cracked my noddle!) As we were only there one night, I did not ask if we could change, but worth knowing in future. The bathrooms in the regular rooms. The main restaurant is fantastic, very nice food, especially the Lobster Bisque! 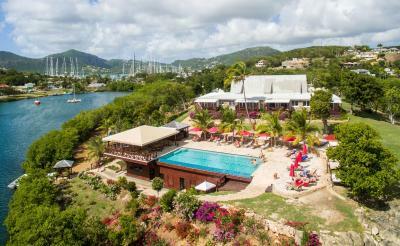 The pool area has lots of sunbeds and another restaurant, very relaxed atmosphere. The regular rooms are a little dated and basic but comfortable enough. The overall experience is great with staff that couldn't be more helpful. 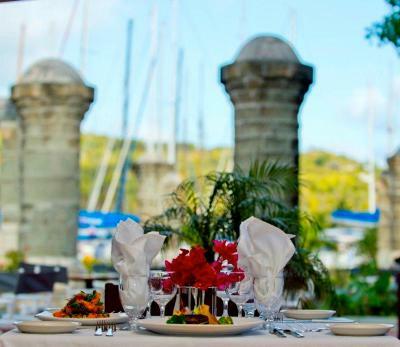 We highly recommend The Admirals Inn. Awesome location and super friendly staff.